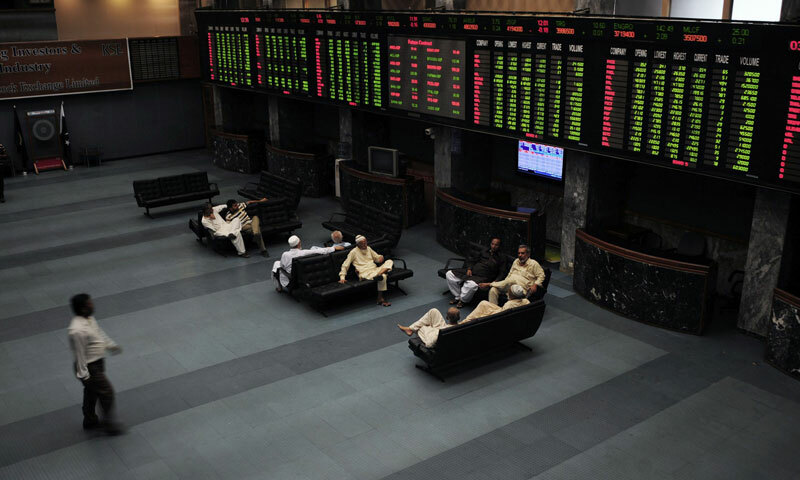 KARACHI: Bulls gave in to bull squeeze in the second session on Friday, so that the KSE-100 index closed down by 111.98 points at 25,258.05. Although participation improved as trading value rose by 28 per cent to Rs7.7 billion, late profit-taking at the bourse and especially in PTC, pushed index into the red in a volatile trading session. Analysts and dealers at Next Capital and Sherman Securities concluded that the future rollover had kept market sentiments under pressure. PTCL hit the �lower circuit�. Investors believed that the stock had weakened on rumours of possible issue of right shares for acquiring Warid. Wasi Khan at JS Global thought that the PTCL fall was due to the risk that the Long Distance International (LDI) market share of the company would shrink after Zong was able to recently acquire the LDI licence. The PSO stirred investor interest on reports of possible hike in OMC margins. Analyst at Next Capital, Ahmad Tariq pointed out that the textile scrips remained in the limelight, posting significant gains. Nishat Mills and Nishat Chunian displayed strength throughout the day with Nishat Chunian out performing the larger Nishat Mills for the first time in December. Among the second and third textile scrips, several closed at their upper circuits. The Oil and Gas sector has generally lost ground all week with only oil marketing companies giving good performance. The banking sector remained dull with most scrips closing in the red. Index heavy weights like, OGDC, MCB Bank, FFC, PPL, POL declined on Friday, as investors decided to book profit. Ahsan Mehanti at Arif Habib Corp stated that stocks closed lower on institutional profit taking on rising economic uncertainty. A look back at the week showed that the index had reversed course falling by 339 points or 1.3pc WoW, and giving up all the gains of a week ago.